The Grand Lodge of Theta Xi Fraternity is pleased to announce that after the completion of a successful search process, it is appointing Charles “Charlie” Hiemenz III as the Interim Executive Director of Theta Xi Fraternity. In accordance with the Board and National Headquarters Staff, he will begin his term on November 3, 2014. As the Fraternity’s Interim Executive Director, Charlie brings an extensive and impressive non-profit and for-profit professional background totaling more than twenty years of experience. He is very involved as a civic volunteer in the St. Louis area, and comes to Theta Xi after his most recent professional role as Interim Executive Director of the World Pediatric Project. In addition, he has held volunteer positions with our partners in higher education at both Saint Louis University and Southern Methodist University. In this leadership position, and serving as the executive of Headquarters Staff, Charlie will coordinate Staff operations while assisting the Fraternity in its search for a permanent Executive Director. Charlie was hired to assist with the business and organizational needs of a vital, dynamic and growing Fraternity. He will work with the professional staff and volunteer membership to secure a productive and sustainable platform for the organization as we pursue the strategic direction ensuring success for the next 150 years. 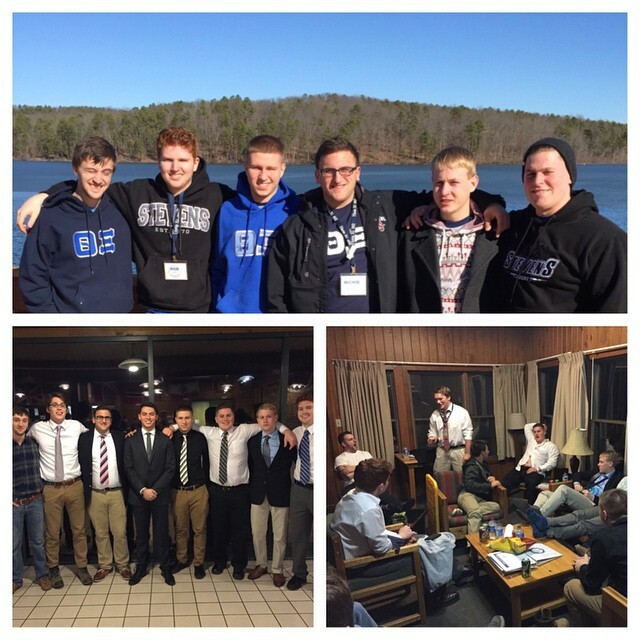 Seven of our brothers just enjoyed a weekend of a lifetime. They gained knowledge and leadership skills from the two Theta Xi Winter Academies. Thank you to the facilitators and all of those that made it possible for this awesome experience!